Yes, that's right. 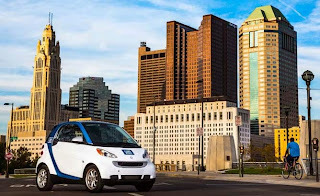 In addition to this blog, I'm now also the Columbus Alternative Transportation Examiner over at Examiner.com - a national news and commentary website with local focus for their various topics (which are pretty comprehensive!). 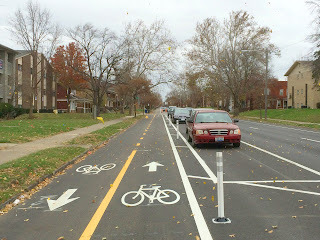 I'll be mostly posting about bicycles over there, but also plan to keep track of what's going on with the Ohio railroad changes, local COTA news, and issues related to walking as well. Some of the content may be repeated between sites, some of it won't. And some of it may be similar but have different focuses depending on which site I'm writing for. I hope to keep both sites interesting without simply repeating the same posts in two places consistently. And if you'd like to keep up with what I'm writing over at Examiner.com, you can check out the feed I'm tracking in the right column of this blog. Hope you visit both sites, and enjoy!